15.9" x 21.4" stitched on 14 count. 12.3" x 16.7" stitched on 18 count. A Summer's Dream cross stitch pattern... 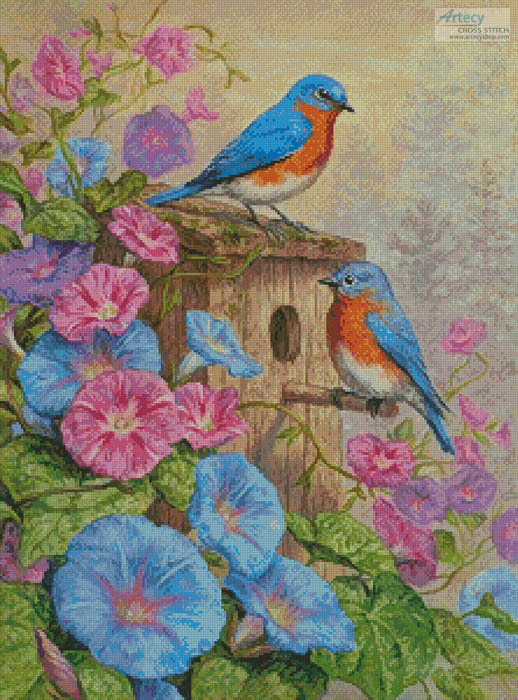 This counted cross stitch pattern of Bluebirds was created from a beautiful painting copyright of Beth Hoselton, licensed through Rosenthal Respresents. Only full cross stitches are used in this pattern. It is a black and white symbol pattern.